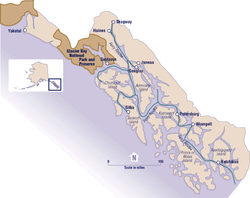 The regional economy of southeast Alaska: final report, 2007 / prepared for Alaska Conservation Foundation; prepared by Steve Colt, Darcy Dugan, Ginny Fay (EcoSystems). Hosted by Alaska State Publications Program. Southeast Alaska energy export study: final report, 2006 / prepared for The Southeast Conference; by D. Hittle & Associates, Inc., in association with Commonwealth Associates, Inc. Hosted by the Alaska State Publications Program. Swan - Tyee intertie economic analysis, 2006 / prepared for the Four Dam Pool Power Agency; prepared by Commonwealth Associates, Inc. Hosted by Alaska State Publications Program.